Every money receipt by a person is not chargeable to tax. Section 14 of the Act specifies five heads of income on which tax can be imposed under the Income tax Act. In order to be chargeable, an income has to be brought under one of these five heads. The heads are (i) salaries (ii) Income from House property (iii) profits and gains of business or profession (iv) capital gains and (v) income from other sources. In common parlance, property is understood in wide sense.It is not only the thing which is the subject matter of ownership but is taken to mean ‘dominon’ or right of ownership or even partial ownership. A) What do you mean by Income from House Property ? a)Unlike the other heads of income, Income from house property is a notional income based on a concept called Annual value . This is the value a property is expected to fetch if it is let out. It may be more than the actual rent being received if let out. If it is not let out the expected market/fair rent will be considered as annual value for the purpose of taxation. Property includes the building and the land surrounding it. 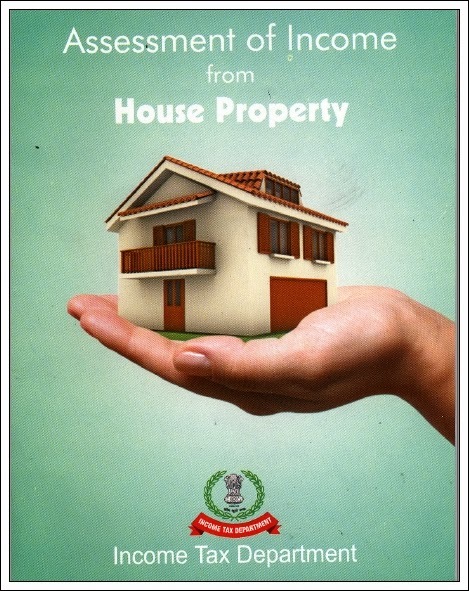 B) If a property is not a residential house, can its income still be considered as income from house property? a) Yes, provided the property is not used for business purpose. 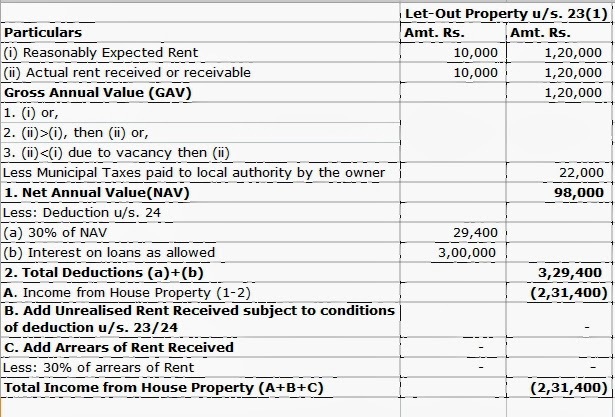 C)What are the conditions for taxing income from a property under this head? The person should own the property. D) Can interest paid on hand loans taken from friends and relatives be claimed as deduction while calculating house property income? E) I have two houses. One is a farmhouse that I visit on weekends and the other is in the city that I use on weekdays. Is it correct to treat both these residences as self occupied? a) No. You can claim any one as self occupied. Incomes from buildings situated in or near agricultural farm are considered exempt provided they are used for dwelling of the farm owner/cultivator or for related purposes of storage etc. F) I own two houses both of which are occupied by my family and me. Is there any tax implication? a) Yes. As already mentioned in the answer to Q.No: 87, income from house property is a notional income and only in respect of one residential unit, if self occupied, it will be considered as nil . In case of the other residential unit, marketable rental value will have to be offered for tax. G) My spouse and I are joint owners of a house constructed by availing housing loan separately. Are we both individually/separately entitled for deduction of the maximum interest payable of Rs.1.5 lakh? a) No. The net taxable income from the property must be calculated first and then apportioned between the co-owners. In this process of calculation maximum interest payable of Rs.1.5 lakh can be considered only once. H) My spouse and I jointly own a house for construction of which both of us have invested equally out of independent sources. Can the rental income received be split between us and taxed in the individual hands? I) I have 5 separate let out properties. Should I calculate the house property income separately for each individual property or by clubbing all the rental receipts in one calculation? a) The calculation will have to be made separately for the various properties.